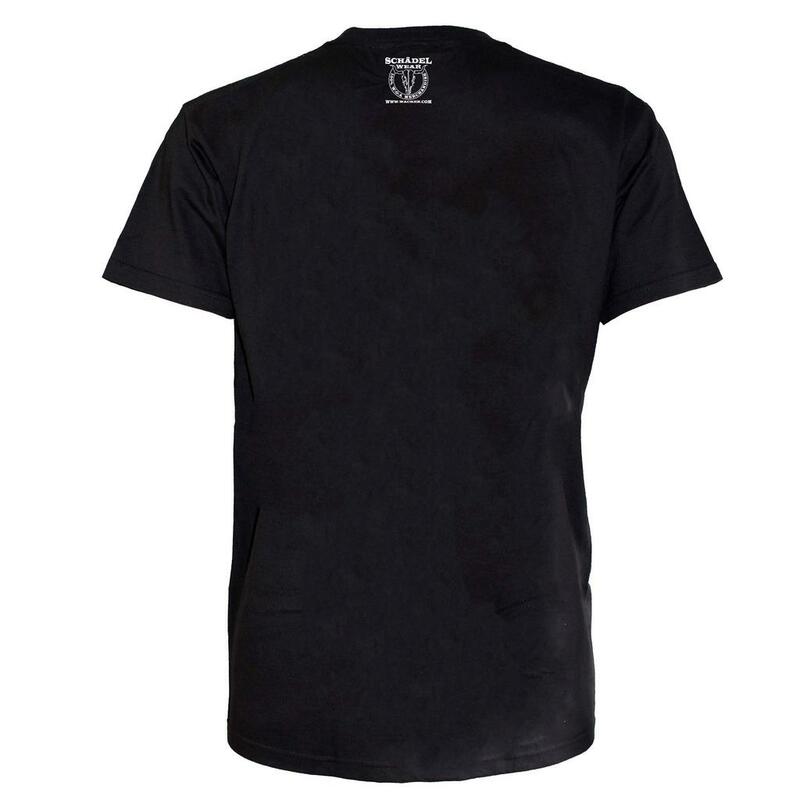 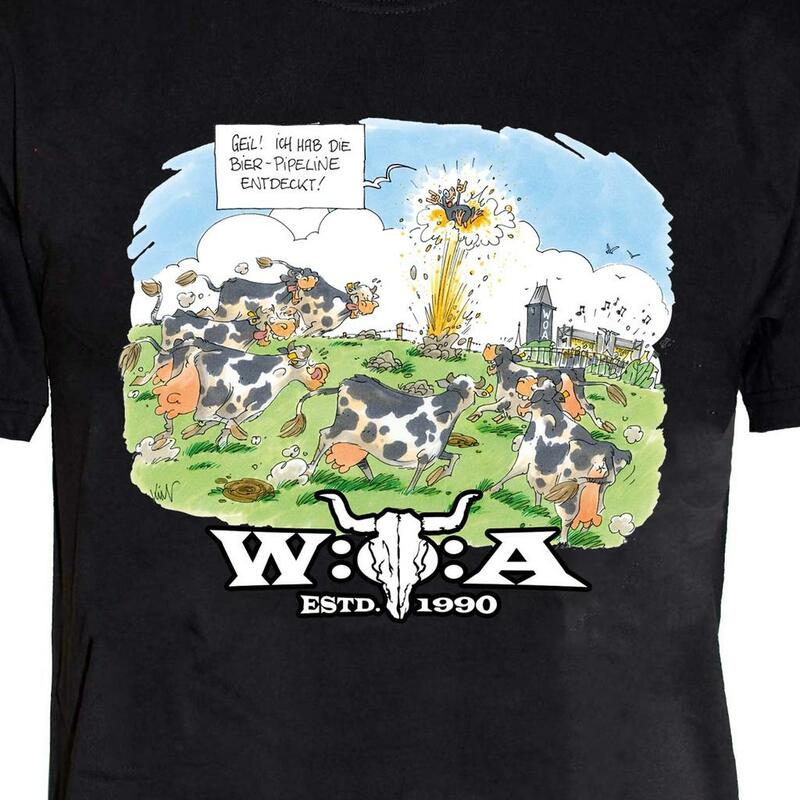 The authentic W:O:A T-Shirt in a comic design shows a happy herd of cows, who have just found the beer-pipeline. 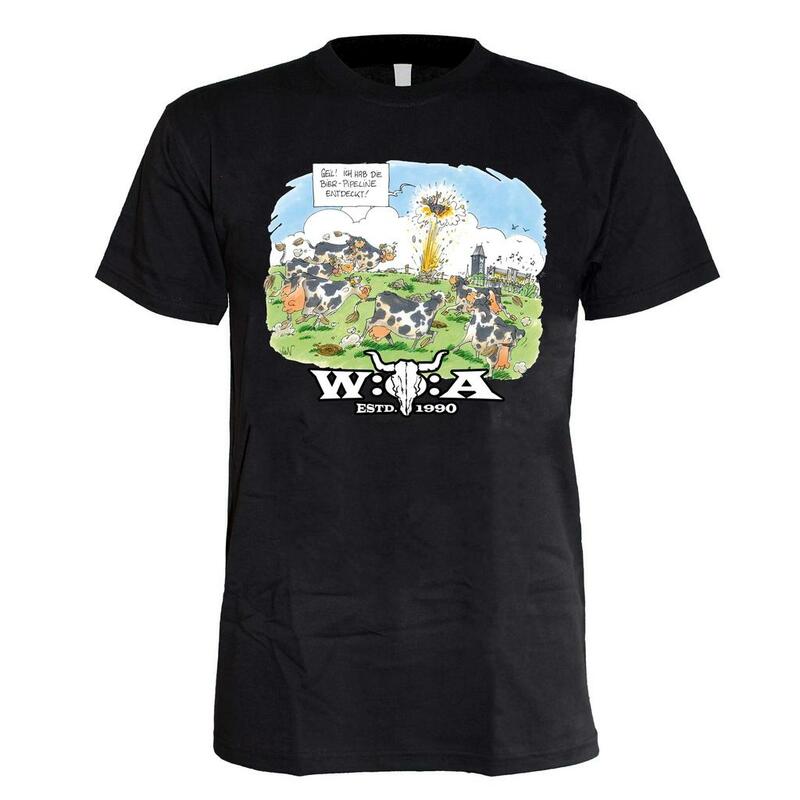 In the background of the colorful print you can see one of the festival stages as well as the famous Wacken tower. 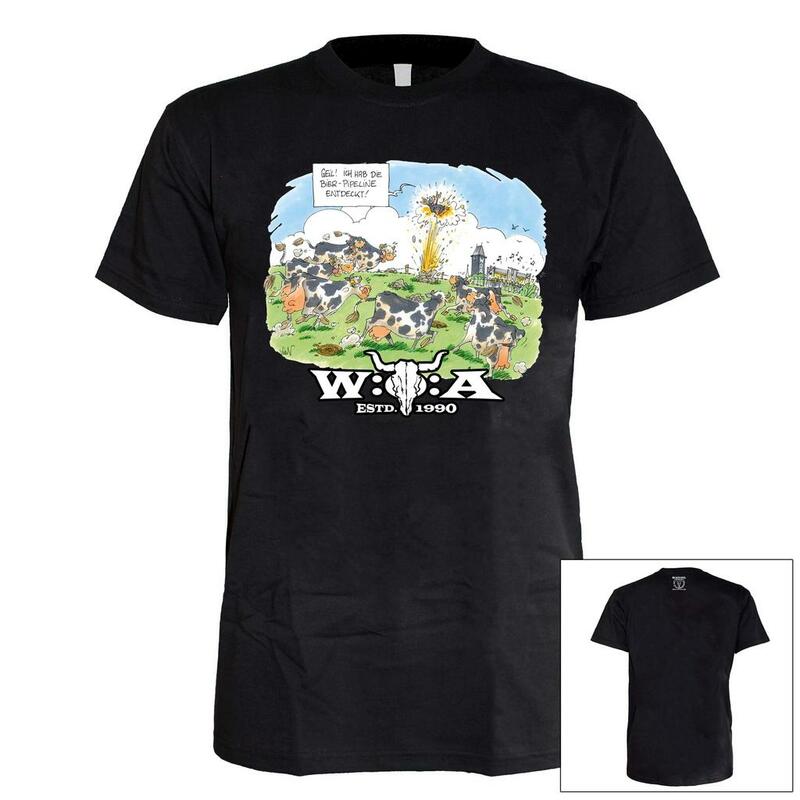 The official W:O:A logo rounds off the funny design.